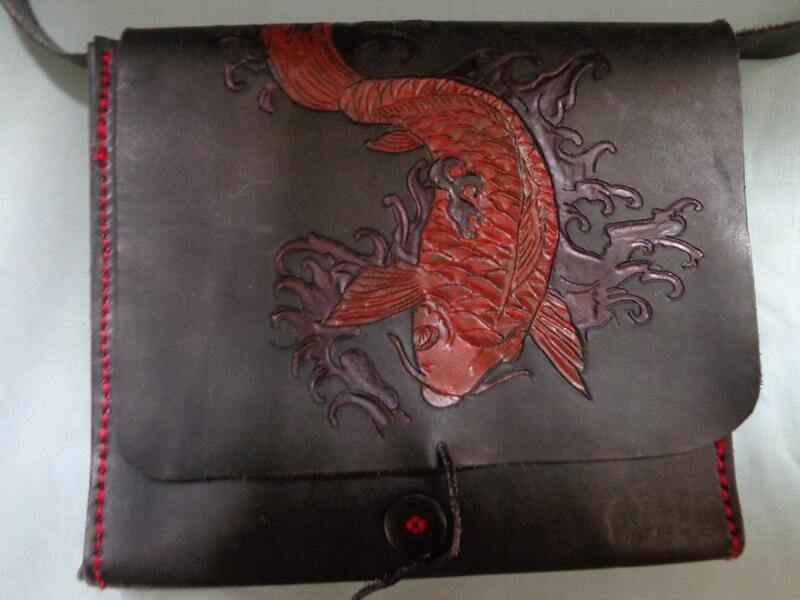 Traditional Japanese inspired koi art is hand tooled on the front flap of this bold messenger style shoulder bag. Large enough to hold your tablet along with all the essentials. Button and loop closure. Black and red color.